LinkedIn has more than 6 million users in Australia & 450 million globally. It is the primary social media platform for B2B commerce. In this LinkedIn Social Selling EGuide, we share the method that we use to successfully build communities, generate leads and make appointments for our clients. It is a must for those who want to get real results from LinkedIn. LinkedIn is a semi-medium to long term warm sales channel. It requires developing relationships with potential clients, connecting with them in a meaningful way and then seeking appointments. This is an ongoing and continuous process. 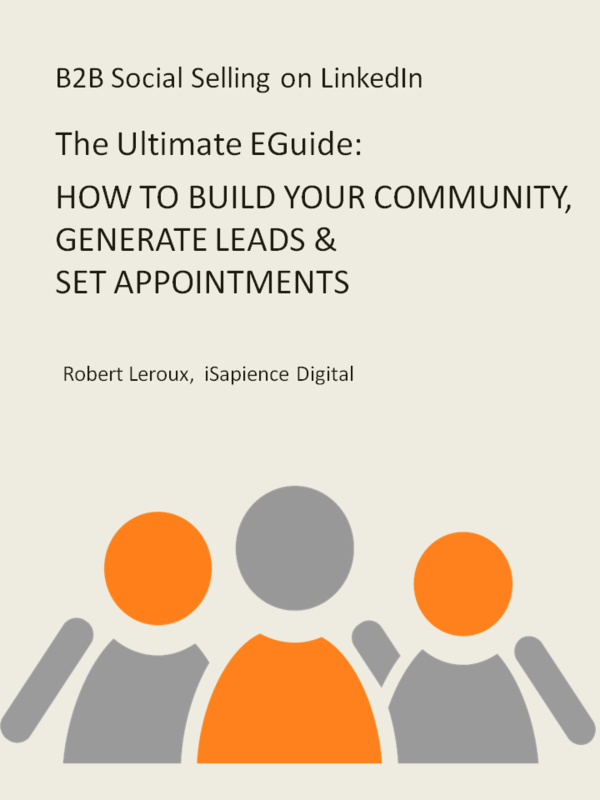 Robert Leroux heads iSapience – a B2B & B2C Lead Generation, Customised Outsourcing & Managed Solutions and International Business Consulting Company. Since 2000, he has helped numerous Australian and international clients across many industries including: IT, Digital, Retail, FMCG, Advertising, Wholesale, Distribution and Logistics, Gaming, International Trade, Infrastructure and Governments.